… Veggies Baked Right In! Just a few of the Garden Lites product line. 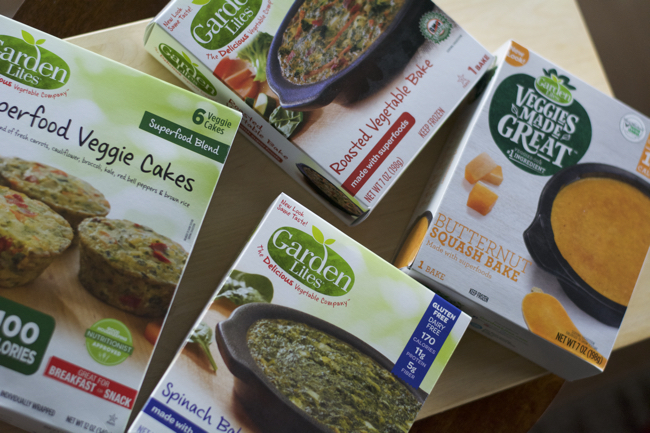 Garden Lites is a vegetable based, frozen food product line. 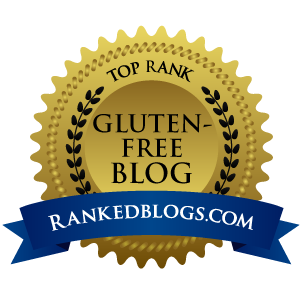 It is allergy-friendly and free of gluten, soy, peanut & tree nut ingredients. The number one ingredient is always veggies. I love that! Getting more vegetable into our diets is always a good thing. 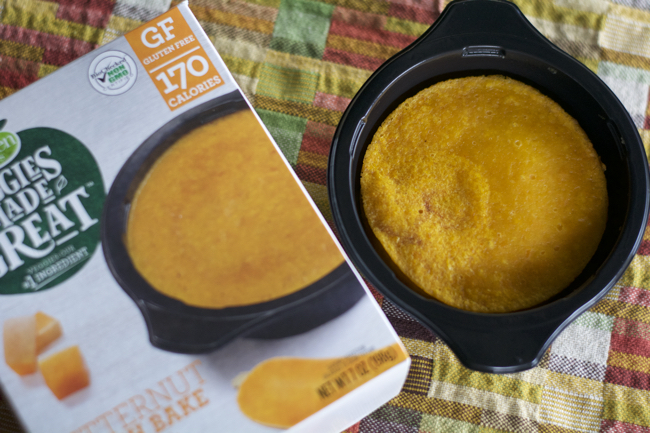 Every Bake, which is what they call their individual products, is egg based and non-GMO, providing a protein-based way of getting extra vegetables and fiber into each serving. 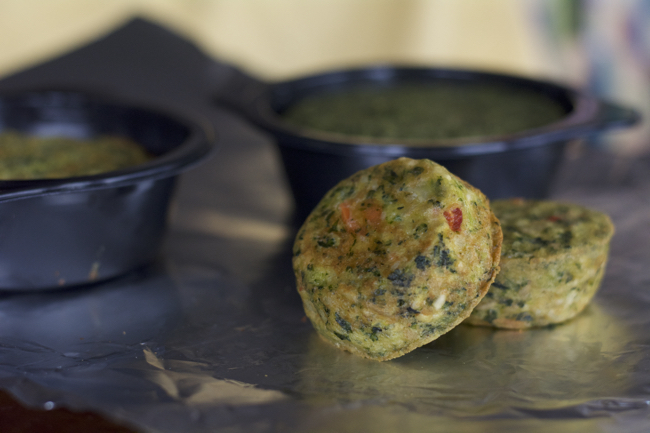 Each Bake comes in its own BPA Free baking bowl, while the Superfood Veggie Cakes are individually wrapped and are to be heated unwrapped. Two methods of heating are provided, either microwave or oven. I started with the Butternut Squash Bake and the microwave method. As instructed, I heated this Bake per time recommended in its container with the outer plastic wrap still on. Then I allowed it to cool for one minute, removed it from its packaging, and gave it a taste. I can’t say I was immediately impressed. The microwave method resulted in a moist, spongy texture, and I found the flavor lacking a bit of salt, though I’d always prefer to adjust salt levels on my own anyway, so the flavor wasn’t necessarily a negative. I love squash but this didn’t live up to my hopes. Garden Lites Butternut Squash Bake after the microwave heating method. For the Roasted Vegetable Bake and the Spinach Bake, I decided to try the oven method. I left them in their baking containers (outer plastic removed), placed them on a foil-lined baking sheet, and baked for the 30-40 minutes recommended, specifically 35 minutes. I baked three of the Superfood Veggie Cakes (outer plastic wrappers removed) on the baking sheet as well, though these I removed after 18 minutes. Preparing Garden Lite Roasted Vegetable Bake, Spinach Bake, and Superfood Veggie Cakes using the oven method. To my very pleasant surprise, the Superfood Veggie Cakes had a pleasant texture, similar to a crust-less quiche (I love quiche), and had baked up with a lightly golden, gently toasted exterior. Their flavor was delicious, with the perfect balance of seasoning and veggie to egg ratio. I liked these a lot. 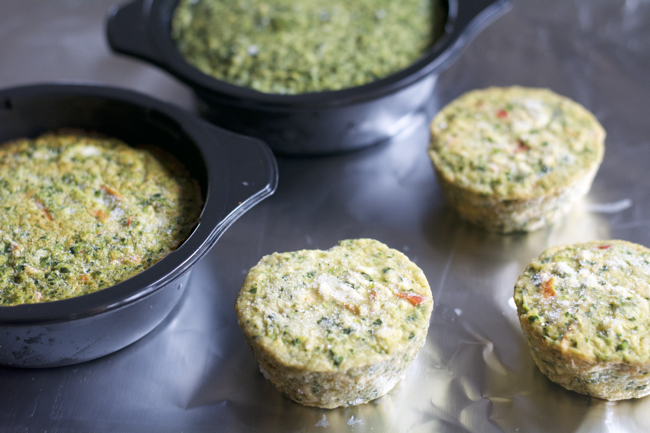 Garden Lites Superfood Veggie Cakes after baking in the oven. When the Bakes reached their total baking time, I removed them from the oven. I released them from their baking dishes and found the bottoms and sides to be too moist and also suffering from the same spongy texture as the Butternut Squash Bake. BUT since I’d had great success with the Cakes baking without containers, I decided to put the Bakes back on the baking sheet, top side down, and continue baking them for another 7 minutes. This made all the difference in the world! Again, the too-moist portion had baked up to a very even, quiche-like texture, golden and gently toasted. They never became crunchy or crispy to the point of being tough or difficult to eat with a fork. Very tasty and satisfying. I’m anxious to retry the Butternut Squash Bake with the oven-heat method. Garden Lites Roasted Vegetable Bake after removing heating dish and baking an extra few minutes. With the knowledge that baking these varieties in the oven is definitely the way to a delicious result, I would purchase all of these varieties again. Having a quick-heat, microwave option would be nice, but I certainly recommend the oven-heat method always. Perhaps your preferences will prove otherwise. I will purchase these items again and can honestly say that my favorites are the Spinach Bake and the Superfood Veggie Cakes. 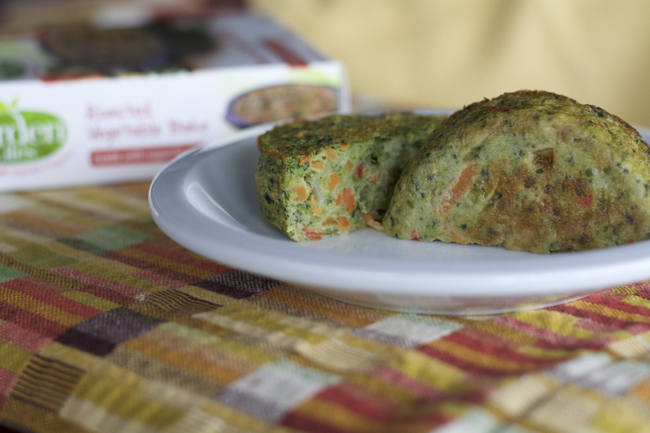 The Roasted Vegetable Bake has a very similar flavor to the Veggie Cakes, if you prefer a larger size portion in this flavor profile. I found the Bakes to be a perfect size for a light lunch or a dinner’s veggie-balanced side dish with a bowl of soup or a small portion of some meat-based protein. 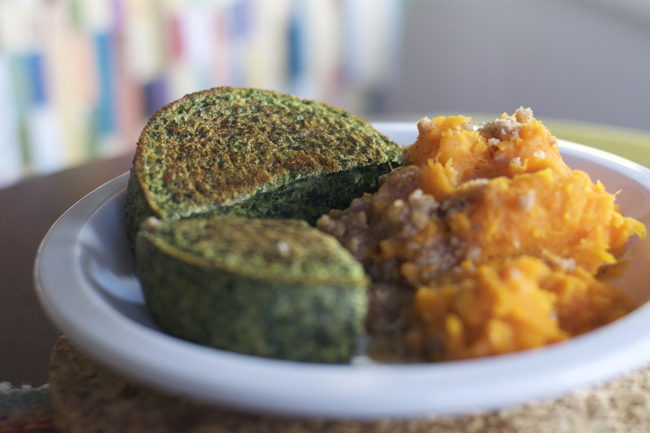 I enjoyed pairing the Spinach Bake with some leftover Sweet Potato Casserole from Thanksgiving. A vegetable and protein-rich lunch, to be sure. YUM! I love the idea of having the smaller Cakes as a breakfast item, as well as a tasty way to get your kids to have a protein-veggie-fiber balanced breakfast. To make these into the delicious, quick breakfast item I think they are intended to be, I’d recommend baking them in the oven, cooling them, then popping them into a reseal-able container and giving them some fridge time. Definitely can be done a few days ahead. At serving time, give them a quick micro-heat-up. Don’t re-freeze them though. That won’t be a safe-food-handling plan. My thanks to Garden Lites for sponsoring this post. These words and opinions are 100% my own. You can find complete product information, including ingredients listings at Garden Lites Veggies Made Great. Want to know where you can find Garden Lites in your area? Check Where to Buy.